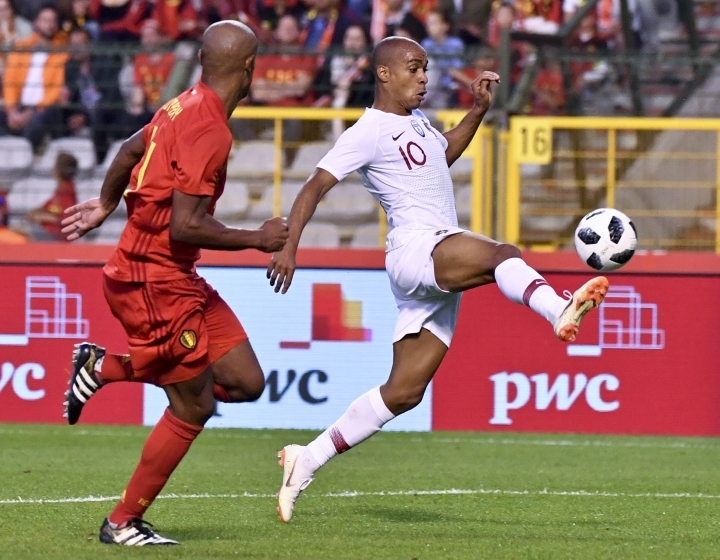 BRUSSELS — European champion Portugal held Belgium to a tame 0-0 draw Saturday, a result overshadowed by fears that defender Vincent Kompany may have sustained an injury early in the second half. Without waiting to be substituted, the injury-prone Kompany walked off shortly after the break after appearing to overstretch while making a defensive challenge. It was not immediately clear if he was injured or left the field as a precaution. The Manchester City defender's career has been blighted by injuries, but he appeared fit ahead of the pre-World Cup friendly at the King Baudouin stadium. Midfielder Kevin De Bruyne said it was too early to say whether 32-year-old Kompany was seriously hurt. "Maybe he only has something small to deal with," De Bruyne said. 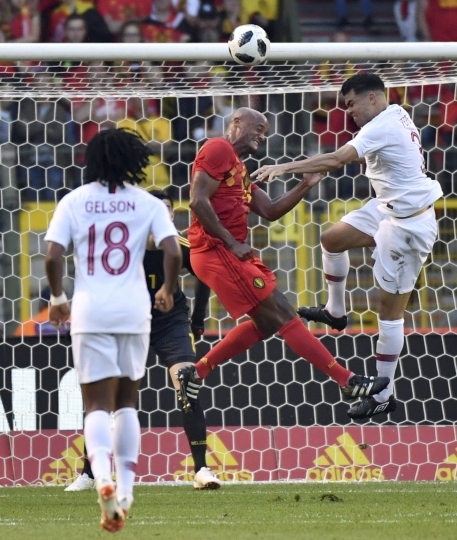 Kompany's departure was the major talking point in a disappointing goalless draw which underscored that Belgium's star-studded squad still has work to do if it is to live up to its billing as one of the favorites to win the World Cup in Russia. Belgium fans jeered their team off the pitch at full time. Portugal was without Cristiano Ronaldo, who was rested after winning the Champions League a week ago with Real Madrid. Without him, Portugal missed the handful of chances it managed to carve out. Portugal faces neighbor Spain, Iran and Morocco in Group B at the World Cup, while Belgium is in Group G alongside England, Panama and Tunisia. Belgium opened strongly, outplaying Portugal in the midfield, but could not turn its pressure into a goal. 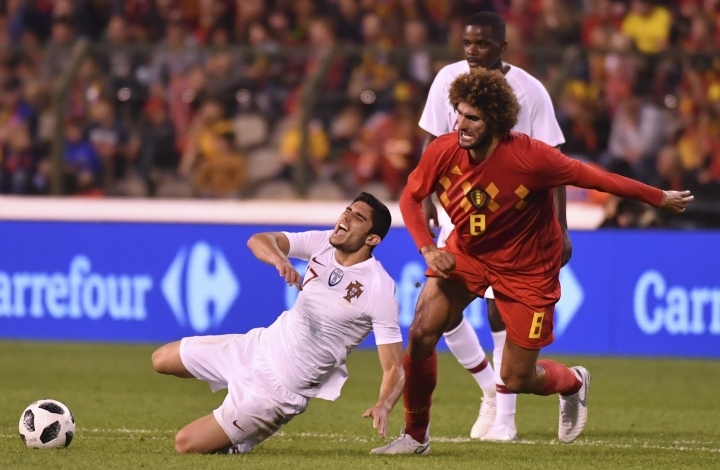 Portugal weathered the early storm and gradually took control. In the closing minutes of the first half, Bernardo Silva saw his powerful shot deflected just wide by City teammate Kompany and Gelson Martins shot across the face of the goal as Portugal came close to breaking the deadlock. 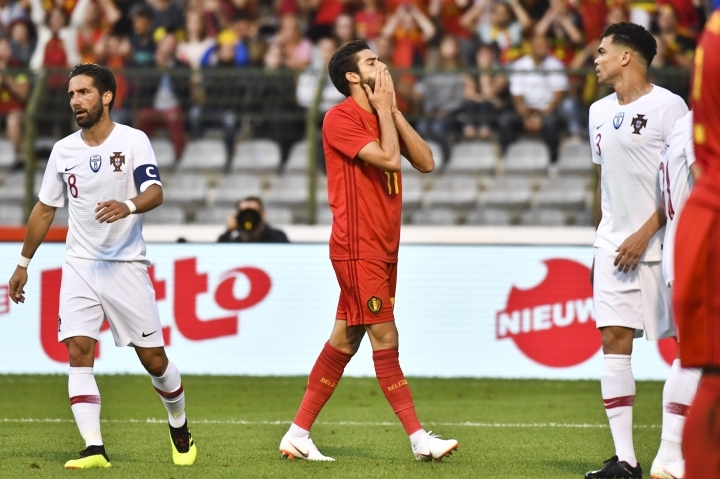 Belgium's only serious effort of the opening half came when Yannick Carrasco shot just wide in the 31st minute. 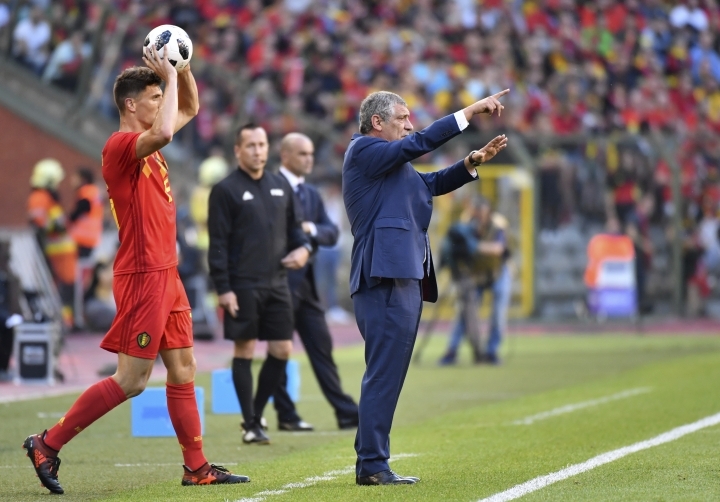 Belgium coach Roberto Martinez made four changes in the break, but the substitutes could not change the team's fortunes. Despite the Red Devils' wealth of midfield and attacking quality, it was left back Jan Vertonghen who came closest after the break. 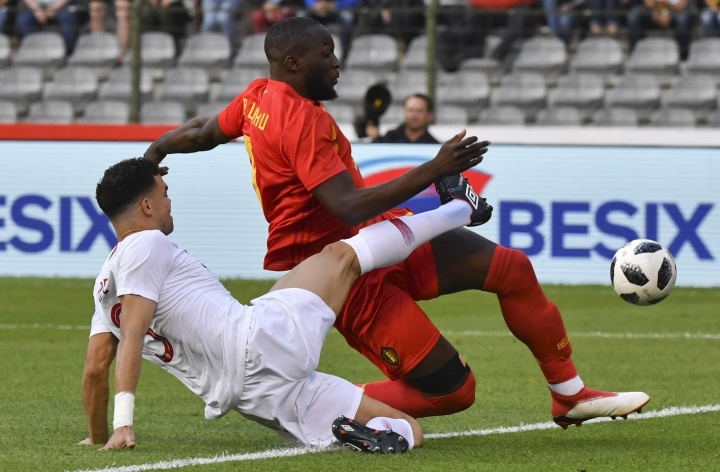 The Tottenham defender nearly marked his 100th appearance for Belgium with a goal, but saw Portugal goalkeeper Beto tip his effort over the bar just before the hour mark. "It wasn't bad, but we could do better," De Bruyne said. "We still have two or three weeks to get ready."